Our signature Samantha silk robe has a beautifully soft drape that is oh-so-flattering. A classic style for years to come, made of 100% silk in our favorite shade of blush pink. This lingerie couture kimono feels amazing to the touch and drapes effortlessly. A beautiful getting-ready bridal robe for the morning of, and perfect honeymoon loungewear. Style with flirty lingerie for a glamorous look that can be worn long after the wedding. Designed with wide kimono sleeves, fully lined cuffs and neckband, belt loops and matching silk sash. One size fits most. 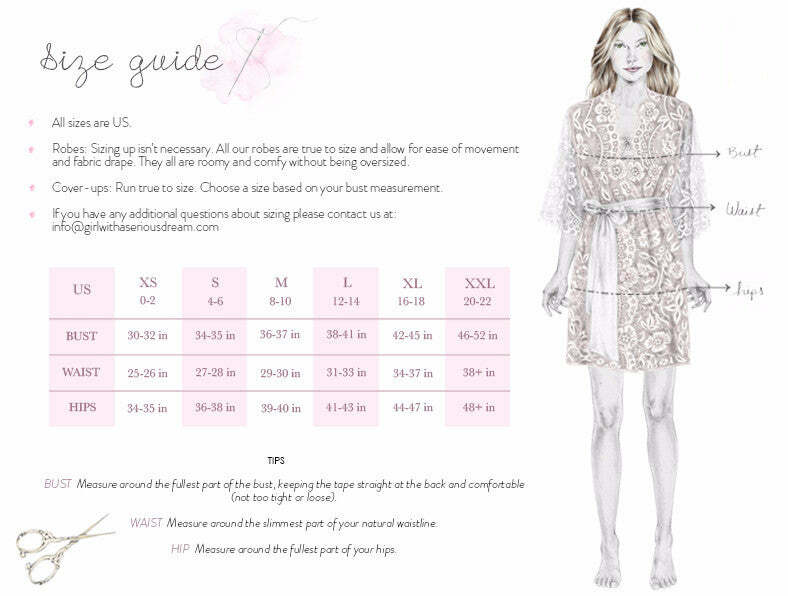 Comfortably fits a US size 0-12.